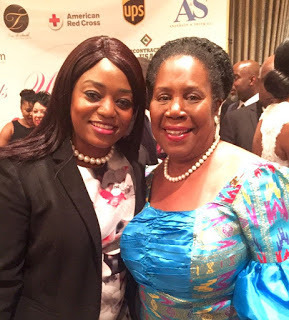 On Friday in honor of Top 30 Influential Women of Houston Gala Award Ceremony, I had the honor of meeting with several influential people including Hon. Congresswoman, Sheila Jackson Lee. Hon. Lee is the U.S. Representative for Texas 18th Congressional District since 1995. The main purpose of the event was to honor, celebrate and motivate women who are making a difference in their communities in different business sectors such as education, arts, healthcare, journalism, law, and finance. Through this event, I was reminded of the importance and the value of women in society. Every woman matters and is valuable. We all have been created for a purpose and should contribute to the void that exists in the world. We need to keep our eyes open for opportunities to support and honor other women on the path to their dreams and celebrate their success; be it through congratulating them for a job well done, networking, giving them a positive comment or feedback and acknowledging their efforts in making the world a better place. Sometimes, that's all someone needs to help them with their journey so they don't give up on their dreams. It is also very important to build relationships with other people that are outside our circle of influence. No matter how talented someone is, networking is very important for it can lead to partnerships that can change the world. I'm very inspired and I encourage other women to honor and celebrate each other. Let us celebrate others by helping them reach their fullest potential. God created each one of us uniquely for a purpose and to accomplish our purposes, we need each other. Unity is strength. We are stronger when we work together than against each other. We are working in collaboration with Ambassador Dr. Clyde Rivers, the Founder, and President of iChange Nations™, the world's largest Honoring Network Establish Cultures of Honor around the world. Hope 631 continues to bring back and celebrate the culture of honor. iChange Nations™ is also a professional institution that equips, mentors and trains highly esteemed individuals who have the desire to change nations throughout the world. Dr. Grace Kinuthia is a Golden Rule World Peace Ambassador and she is also the president of Hope 631, a non-profit organization that aims to alleviate poverty through education and empowerment of local businesses within communities in Africa. Dr. Grace is also involved in the leadership of iChange Nations™ First Lady's Club. Setting forth to honor and promote First Ladies around the world. 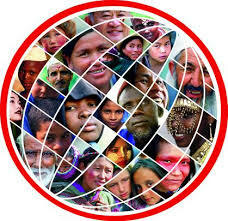 Helping them leave a legacy of hope and advancement for the people of their respective countries.